In a bill introduced in the Georgia State Senate on January 15, 2009, the failure to wear a seatbelt would be considered as evidence against a plaintiff in a lawsuit arising out of an automobile accident. 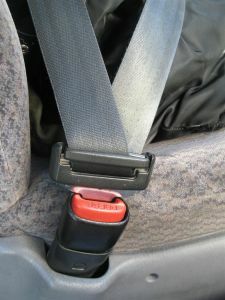 Under this bill, the failure of a plaintiff to wear a seatbelt in violation of Georgia’s seat belt law could be considered as evidence of the plaintiff’s own negligence or contributory negligence. Such a bill will give the at fault driver a chance to point the finger back at the plaintiff, saying to the plaintiff “Yes, I might be at fault but so were you in not wearing a seat belt.” In Georgia, the injured victim could be an innocent child passenger who failed to fasten his or her seatbelt and suffered injuries in a car accident through no fault of his or her own. To offer comments on this bill to state representatives, Georgia citizens can locate their representatives at the Vote Smart web site.